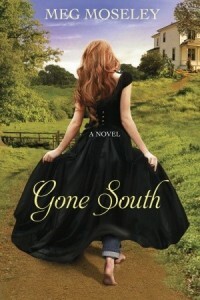 Ready for change after the death of her near-finance, Tish McComb buys her great-great-great-grandparent’s Civil War-era home in a small town in the Deep South with romantic desires of finding solace in understanding her family’s history. But when she arrives in Noble, Alabama, she finds the small town holds a deep grudge against her relatives. And she only intensifies the local gospel by taking in homeless teenager Melanie Hamilton–who, unknown to Tish, is a reputed deviant, disowned by her parents after an unfortunate series of events. This is Christian fiction, but the religious undertones are quite subtle. Moseley elegantly depicts small-town life and the deeply felt challenges that come with living and finding personal peace and confidence within a hostile environment. I have never lived in the South, so I cannot comment on how accurate that portion of the story was, but the characters, emotional responses, and storyline were wonderfully alive within the writing. The narrative also has a bit of romance and mystery, although the more prominent themes are of forgiveness, mercy, reconciliation, friendship, and learning to give second chances. Gone South was enjoyable to read and held my attention throughout. I would love to read more from Meg Moseley.